The Fable 3 logo makes use of texture, drop shadows, bevels and strokes. Here is a quick method of creating a similar 3D bronze text effect by using layer styles on a text layer. Please note, some of the settings in this tutorial will be specific to the size of the text I am using, settings will need to vary to account for this. To follow this tutorial exactly you will need to use the font ‘Dumbledor 3 Wide’ available free at Dafont at 105pt in size. Create a new document and create a new text layer with the wording you want to use (The text can be in any colour as this will be filled with a pattern in the next stage. Double click the text layer in the layers palette to bring up the layer style panel. 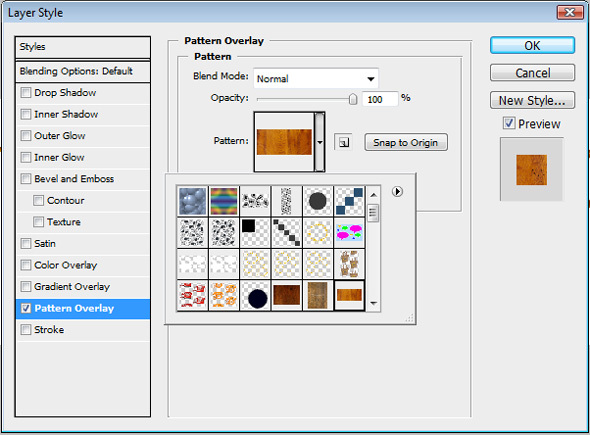 Clicking on the pattern overlay button choose a pattern similar to the one below. If you don’t have any like this installed, right click the wood pattern below and save it to your computer before adding it to your patterns list in Photoshop (You can find a tutorial for how to do this here step 7 onwards). Still using the layer style panel choose stroke and copy the settings below. Choose Bevel and Emboss and follow the settings below, the highlight colour is #b66c35 and shadow colour #000000. 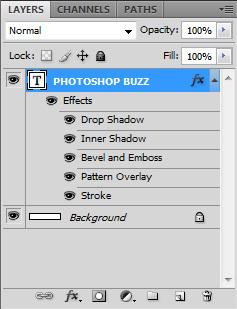 Next activate the Inner Shadow layer style with the settings below. 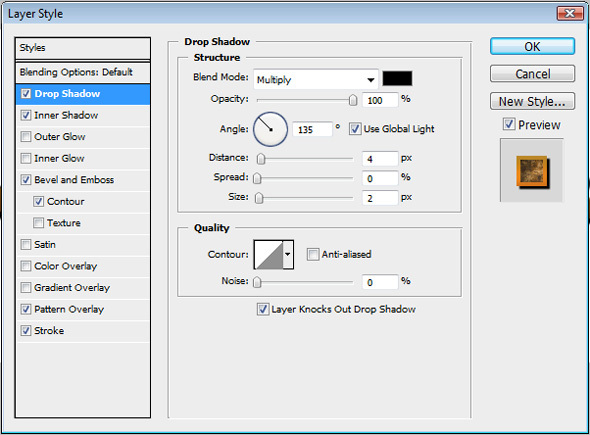 And finally set the drop shadow settings to match the values below. You should now have something that looks like the effect below. Next you will need to duplicate the layer in the layers palette. To do this, select the type layer and press Apple J / Ctrl J. Right click on the top layer and choose ‘clear layer styles from the menu. We will add different layer effects to the top layer. Double click the top text layer to bring up the layer palette options and choose blending options from the left hand menu. Reduce the opacity of this layer so that the effects on the previous layer show through. Next add a stroke effect and follow the settings below. Next change the bevel and contour settings. The highlight colour is #e9d9ae. You should now have a similar look to the final effect below. If you intend to move the text around a lot you can link the layers by selecting both text layers in the layers palette, right clicking and choosing link layers.